Thibaut Mourgues is Founding Partner of 4IP and Lead Capital Raising & Catalyzing. He specializes in Public Private Partnerships with People First, Impact Investing and Green Finance dimension. 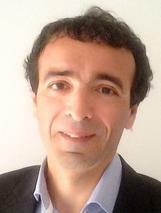 Thibaut is a former banker and a financial sector and project finance specialist, with about 30 years of experience in the development of private and public investment projects, as well as PPP/PFI structures for large infrastructure projects and corporate investment projects in various industries. Thibaut started his career at the French Securities and Exchange Commission where he was in charge of preparing the listing of small and medium size companies. He moved then to Eurobank, Paris, to participate in the transition to market economies of Eastern Europe and more particularly, CIS countries. In that position, he was involved in financial advisory to local firms as well as privatisation processes and provided investment credits to large European companies investing in Russia. After 2 years with Technip, a major oil and gas engineering company, where he managed international financial issues for contracts up to 1 billion USD, he moved to Russia to develop a financial advisory boutique, Camden Partners. He was active in fund raising for investment projects in industrial, real estate and transport sectors and in parallel started involvement in development projects in Ukraine (oil pipe line) and Central Asia (municipal energy utilities). From 2010, building on his financial background, he became involved essentially in PPPs advisory for public authorities and financial institutions. In particular he advised full time the Jordanian PPP unit (2010-2012) as well as the Moroccan PPP unit (2015-2016) on PPP policy and methodology as well as on individual transactions. From 2012 to 2015, he worked as a PPP consultant for the African Development Bank where he advised the Bank on the PPP activities and projects continent-wide. His experience and expertise in PPPs, especially in Africa and Middle-East, have conferred to him a unique leading position in the development of the PPP market in the developing world. Thibaut holds a Master in Finance from ESSEC (a leading European Business School), a degree of Institut d’Etudes Politiques de Paris (“Sciences Po Paris”) with major in Economics and Finance and a business law degree from University of Paris II.